There are so many lovely designs that are available for knitting, crochet and sewing. Unfortunately, those same designs do not usually cross paths into all the three crafts because of certain limitations within the design or the craft. 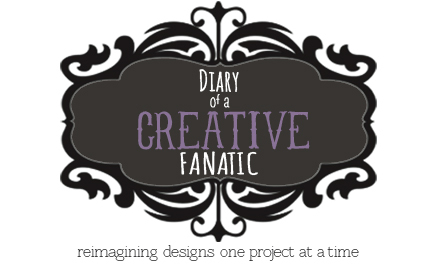 All three crafts appeal to me but I go through stages of wanting to do one craft more than the other. For me, at the moment, it is crochet but a design that is knit can persuade me to start knitting. When a pattern is easy and appealing to all three crafters, this is a good thing. The last post was about making a rectangle that folded into a shrug. 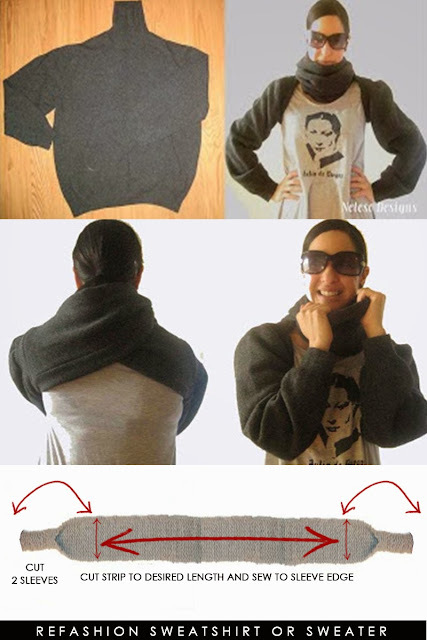 This post also offers a design that allows you make your shrug in three different ways. The crossover shrug is a long rectangle that folds and is sewn at the ends for sleeves. The middle part, depending how long and how wide, can become a cowl, a hood or a top for a cami underneath . 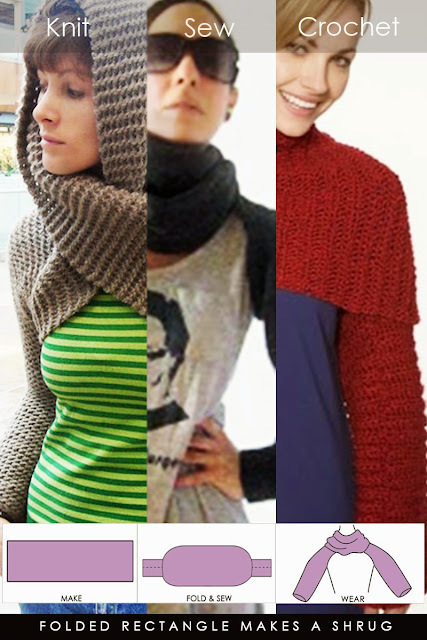 Read further for a refashion idea and free patterns for both a knit and crochet crossover shrug. let me start by saying Thank YOU!!! you are a life saver!!! i need a shrug in the worst way and your video has answered all my questions (i am not the worlds greatest sewer). Thank you. 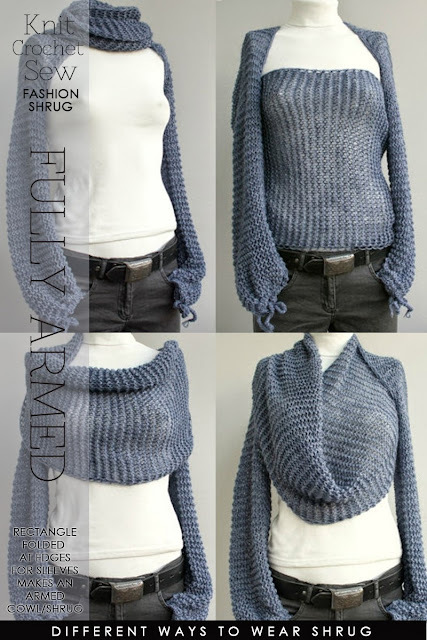 I really do love quick, simple shrugs - and here are some fabulous ones all in the one post! You've done all the hard work for me!! Thank you!